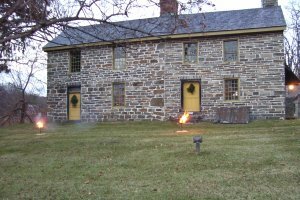 Costumed interpreters will demonstrate the daily life of William Edmonston, a blacksmith, and his family at the stone house he built in 1755. The house was used during the Revolutionary War as Headquarters for Major General Gates and Major General St. Clair. It also housed the medical staff and was used to store the medical supplies for the troops at New Windsor Cantonment.